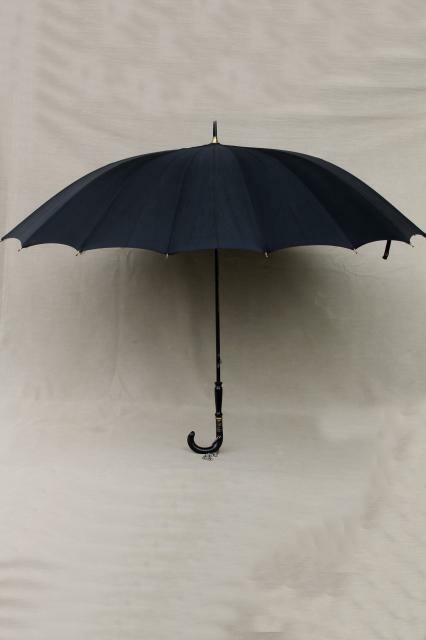 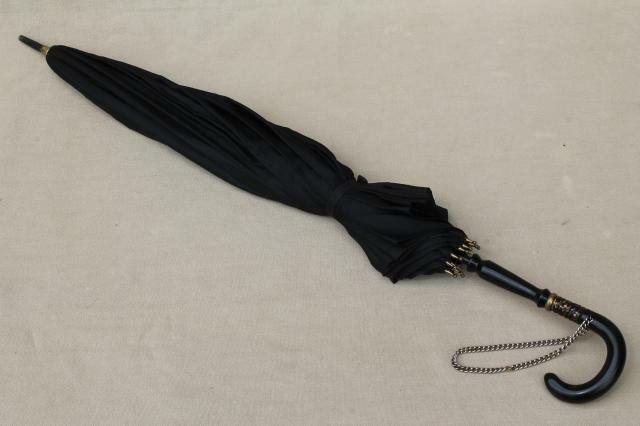 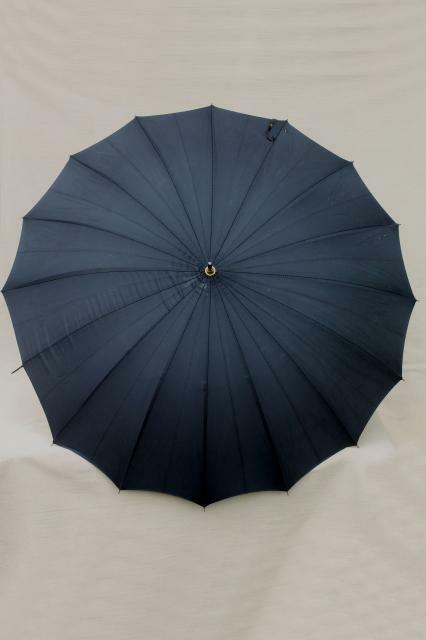 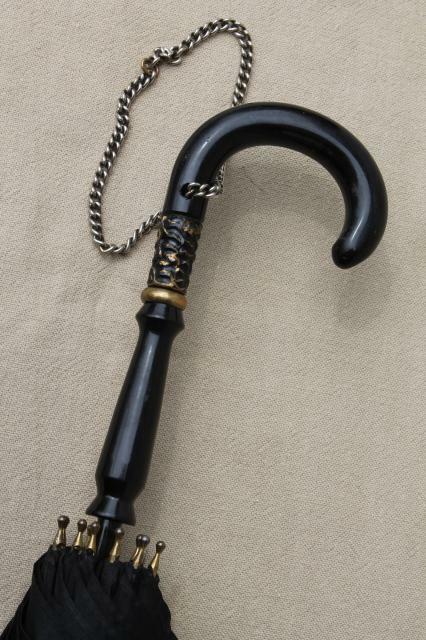 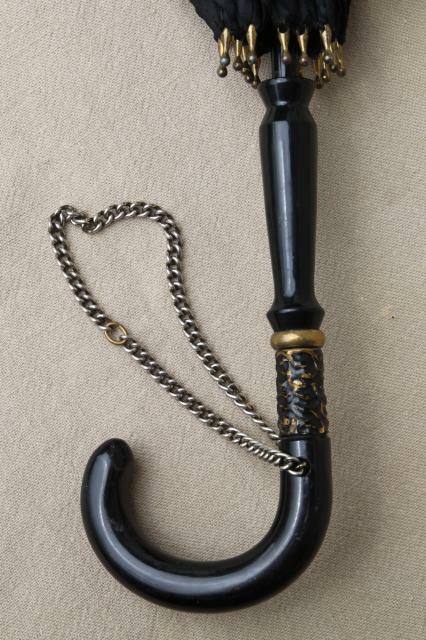 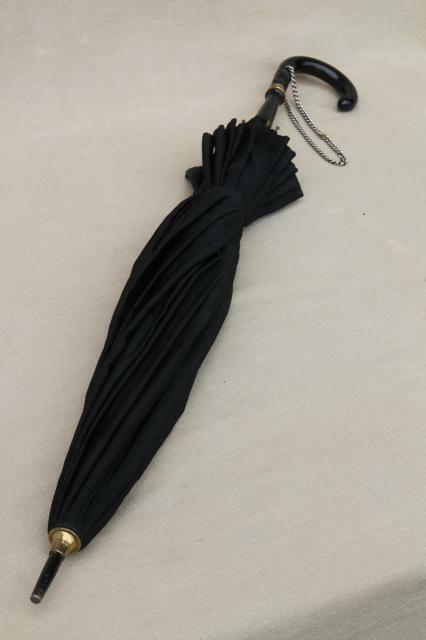 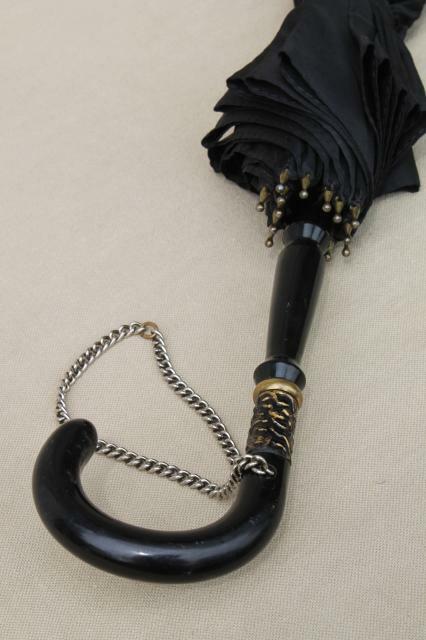 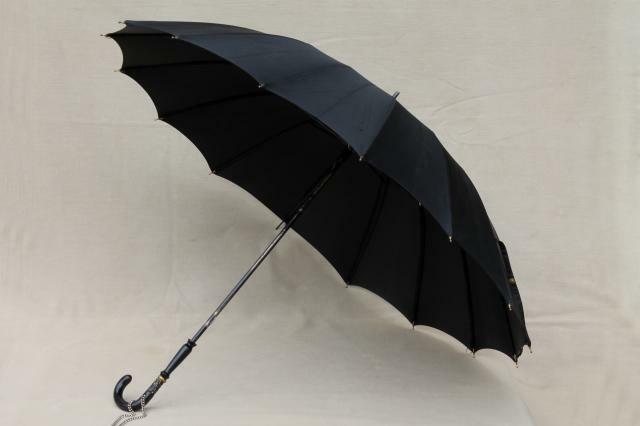 Plain and ladylike vintage black silk umbrella... this is most likely 1920s or 30s vintage, though we can imagine Mary Poppins with this one, it's such a classic style. 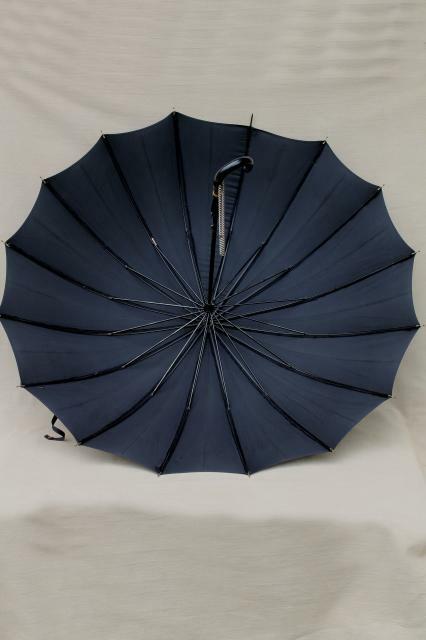 This is about 32" over the parasol, not terribly large. 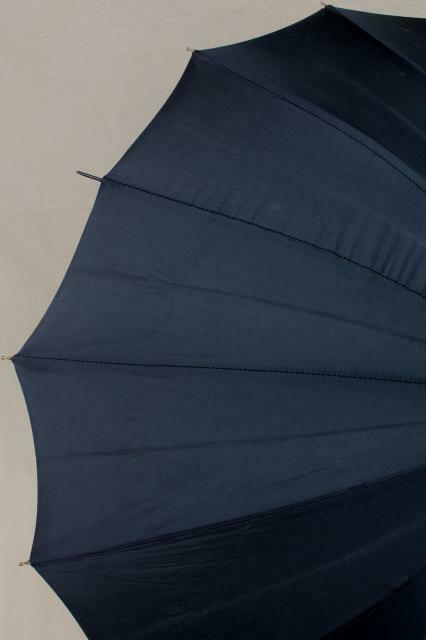 It's not in perfect condition, one of the ribs is loose, and there's some small holes to the silk.